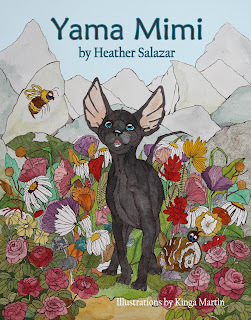 Yama Mimi is the story of an adopted skinny black Siamese cat who ponders his purpose and place in the world. He doesn’t fit in (and probably never will). In Japanese his name means “Mountain Ears.” His adventures with the cats, birds and bees of his neighborhood center around him finding his life’s meaning. He begs his mom to go to Siamese School to learn his calling. Instead, he is a social outcast among the purebreds at school and discovers he isn’t talented at any of the things a “true Siamese” should be able to do well. Nevertheless, he wins over the hearts of those around him through his openness, kindness and courageous spirit. He comes to understand that he isn’t worthy because of what he accomplishes, how he fits into the world, or how he is defined. Use paypal hsalazar@wne.edu or venmo @heathersalazarom to submit your order. $16 per copy plus $5.50 shipping to each separate address. Your payment will confirm your order. 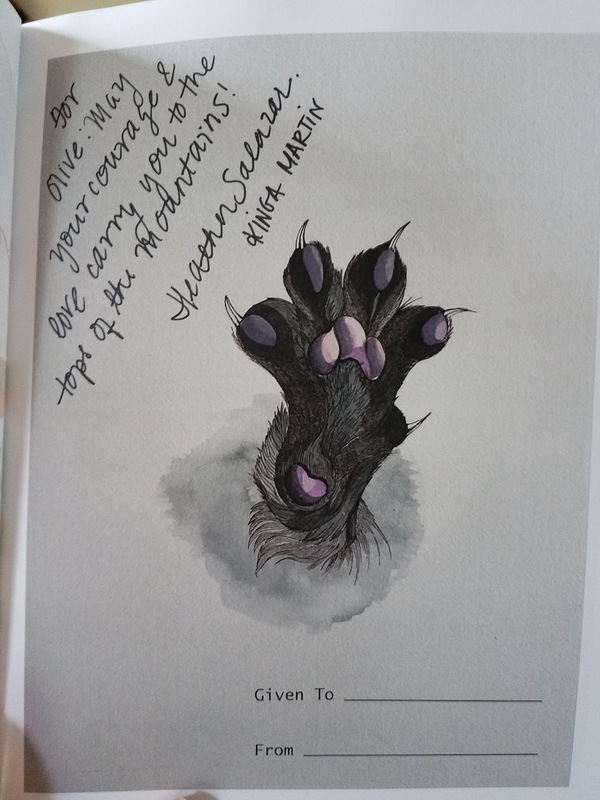 Simply add your address with who you want them signed to to the notes on the payment. 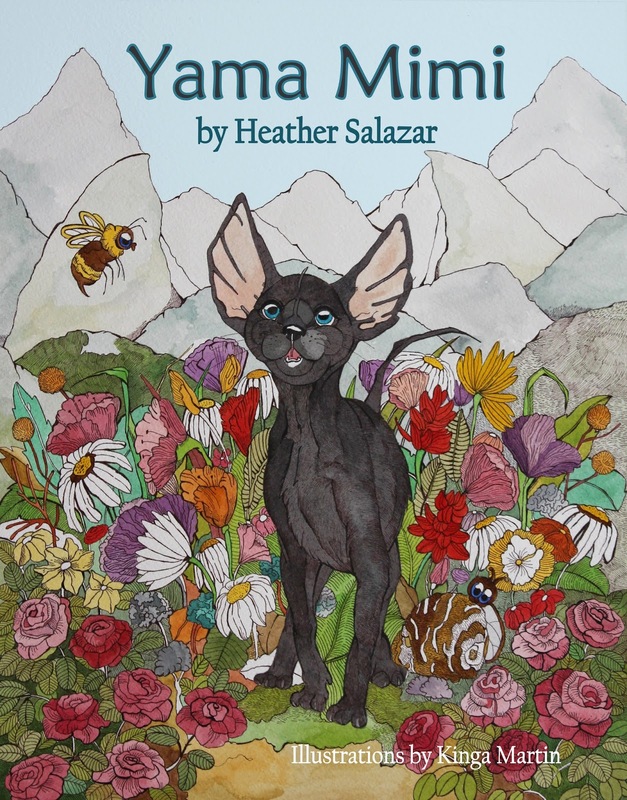 Yama Mimi is available beginning Oct 20th at our book launch and any copies will be shipped on Oct 20 or after. Your copies will take 4-5 days to get to you. Heather Salazar, Ph.D., is an Associate Professor of Philosophy at Western New England University where she teaches East-West philosophy, ethics, and philosophy of mind. She has authored numerous book chapters and edited an innovative anthology: The Philosophy of Spirituality. Her forthcoming book on constructivist ethics focuses on morality as it emerges from enlightened self-interest. Salazar has been a practicing yogi since 1997 and a yoga and meditation teacher since 2007. 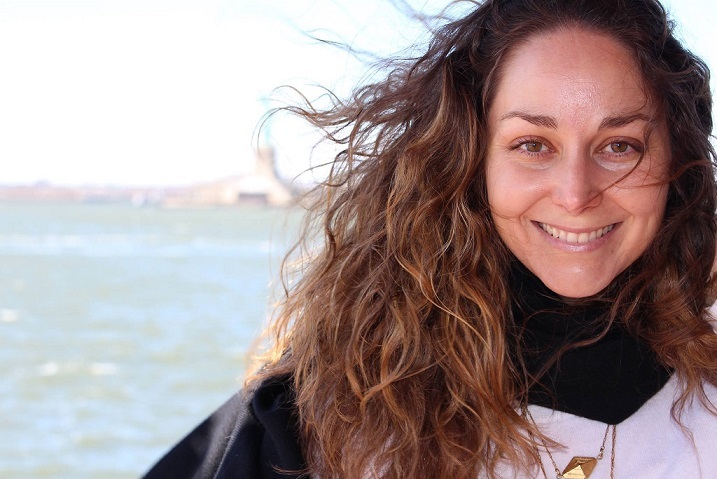 She received her Yoga Alliance RYT-200 certification in Bali, Indonesia and founded Sweet Flow Yoga in Easthampton, Massachusetts, which focuses on vinysasa yoga, community involvement and yogic philosophy. My research focuses on a cluster of related issues surrounding the nature, origin, and force of our obligations to ourselves and others. Within this general domain, my current work is on enlightened self-interest both within Western perspectives (neo-Kantian ethical constructivism and philosophical psychology) and Eastern traditions (Yogic philosophy and Buddhism). I argue that as people become better acquainted with themselves and the world, that natural motivations for caring about others often converge with philosophical arguments for governing our relationships with respect, kindness, and love. Philosophy of Spirituality, edited by Heather Salazar and Rod Nicholls, Brill Publishing, forthcoming 2018.